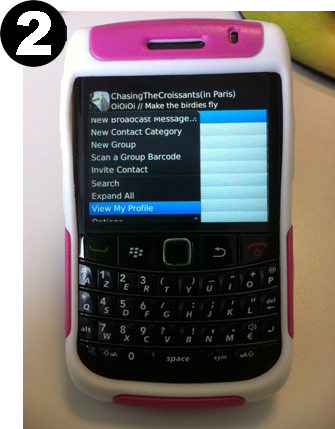 Invitation to the Blackberry messenger using barcode. As easy as 1, 2, 3! 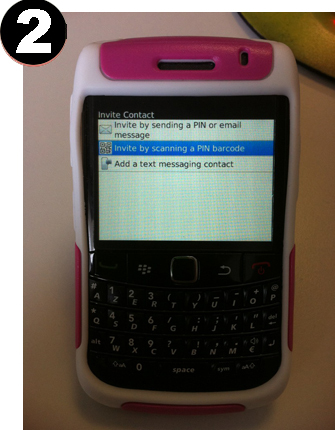 Tired of typing the pin code of your new best friend in your Blackberry messenger? It’s time to show off because you can now scan your friend’s barcode ! 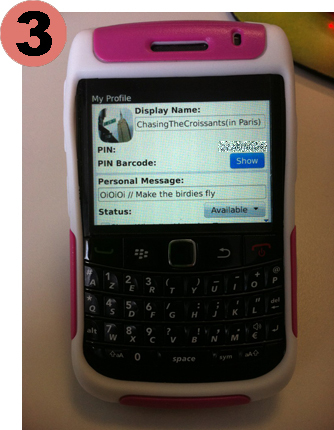 TWO, you select the option “invite contact”, then “Invite by scanning a PIN barcode”. YOU are ready. THREE, hold your Blackberry on top of your friend’s blackberry and it’s done, you both have a new friend !!! I love it! I just love it!!!!!!!!!!!!!!!!!!!!!!!!! Good article. Its realy nice. Many info help me. Happy it helped you, if you have any question don’t hesitate to ask. Looks great and it’s super quick. 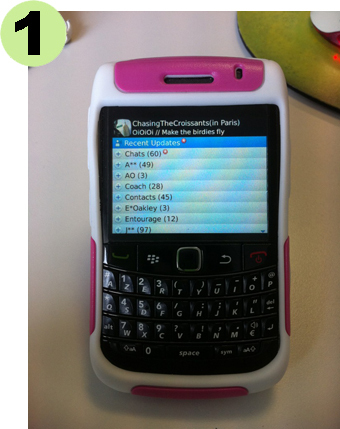 I noticed thugoh that I cannot share a found item via either Buzz or my Exchange email. Gmail is fine and there’s a pretty long list of other options … just those two seem to be missing now.